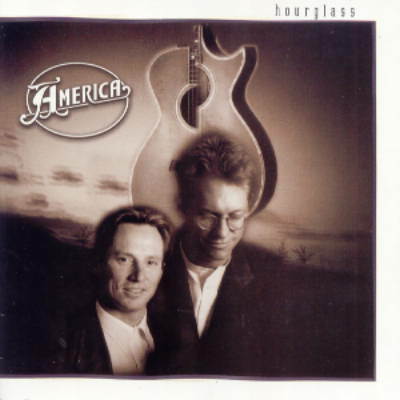 America returns this week, with a much later album release, from 1994 - Hourglass. The hit song from this album was "You Can Do Magic." By 1994, America had become a duo, consisting of Gerry Beckley and Dewey Bunnell. Lite Rock/Soft Rock best describes America's music, even for their popular songs from the 1970s. "Ventura Highway," "A Horse With No Name," "Tin Man" to name a few. By the end of the 1980s and early 1990s, Soft/Lite music took a mix with Pop (as it always did), and America did the same, by incorporating their "Love Songs" style, and gave it an updated sound. Quite honestly, Hourglass is a fantastic album in these styles of Soft/Lite and Love Song genres. It's an album that is quite soothing, and a great album to work with, having it play in the background. "Greenhouse" gets a more upbeat Rock feel, likewise Rock on "Everyone I Meet Is From California." The tropical sound gets "Ports-Of-Call," another well-done tune. The album closes with the most popular hit, "You Can Do Magic." Most music fans remembered the Pop hit "You Can Do Magic," and America proved that although their best hits were behind them, they could emerge again in the later decades with another hit that received heavy airplay. "You Can Do Magic" was another Top 10 hit. Magic reappeared once again for America in 1994, as Hourglass is just that -- a magical album with great soft/lite rock songs for those to enjoy. © WSVNRadio.net. All rights reserved. Review or any portion may not be reproduced without written permission. Cover art is the intellectual property of American Gramaphone Records and is used for reference purposes only.